Figure 1: Relative sizes of impulse response, input sequence, and output sequence after convolution . 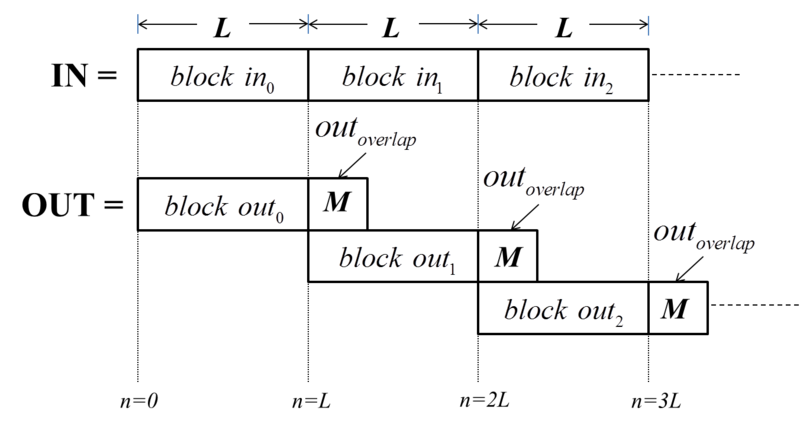 Figure 2: Overlap-Add Method for block processing convolution . Many filtering methods are not feasible due to the characteristics of audio I/O hardware which utilize finite buffer sizes. Block processing methods, and in particular the Overlap-Add method are extremely useful in such situations. Real-time constraints must always be taken into account and place limits on the type of audio processing that can be accomplished. Orfanidis, S., Introduction to Signal Processing, Rutgers University, NJ, 2010. Lerch, A., An introduction to Audio Content Analysis: Applications in Signal Processing and Music Informatics, Wiley, NJ, 2012.